Why do you play video games? Is it to be entertained, challenged, dazzled, to escape the pressures of reality and life? I pondered a lot on that question while playing this game and writing this review. In a season jam packed with quality games and a ton more on the horizon, it's easy to get lost afloat the sea of gaming goodness. 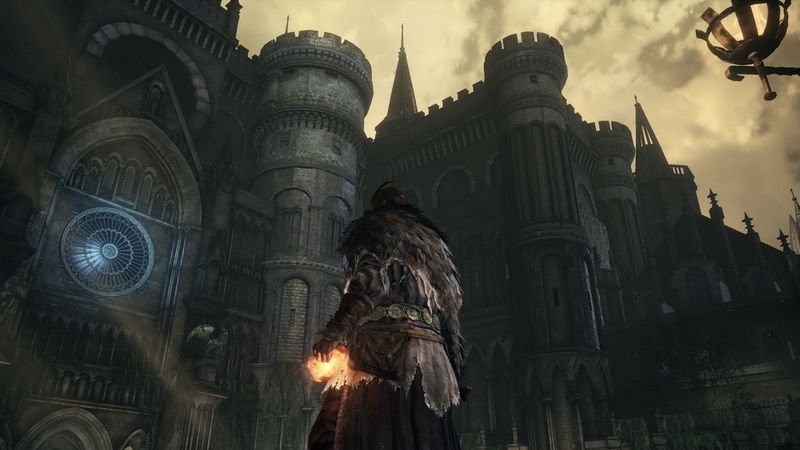 A beacon shining upon said sea, DARK SOULS III is finally upon us and oh how glorious it is. While I don't want to spoil any surprises and reveal much in the way of secrets and boss fights, I will say that this game is the definition of small scale, claustrophobic catacombs to explore mixed with huge, epic in scale encounters filled with baddies and even.. friends. Level design = GOD MODE. I almost feel like I have to write two separate reviews: One for those new to the series, and the other, to the hardened veterans who eat, sleep, and drink all that the wizards at FromSoftware have created. So, I'll start simply with those who haven't touched any of the series or the offshoot, BLOODBORNE that is exclusive to PS4. 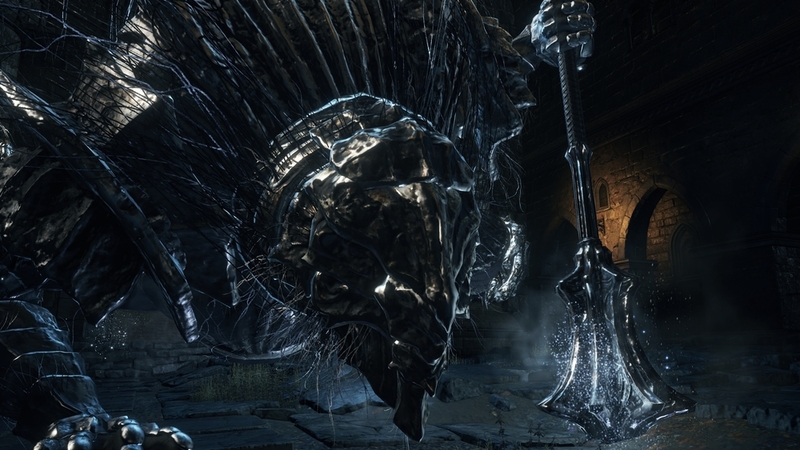 First things first: Stop reading, go get a copy of DARK SOULS III and start feeling the purest pleasure through pain. What a second, say what?! That's right. This game is absolutely brutal, especially the first area, compared to most games on the market. It takes patience, planning, persistence but when you finally conquer what always seems nigh impossible, the payoff is unlike any of experience out there. The story is of little consequence but it's all about gear, weapons, armor, one handed, two handed, whips; whatever you see fit. It's a solid ARPG experience that also defies most genres but is one of the best games I've played in years. Don't give up. You will pass that huge boss or immense pack of enemies and oh how sweet your victory will be. Buy it. Now. I hereby stake this land under the control of the Kingdom of Kickarsemdom! For those veterans who love all things Souls, this is the opus of which we've all dreamed of. 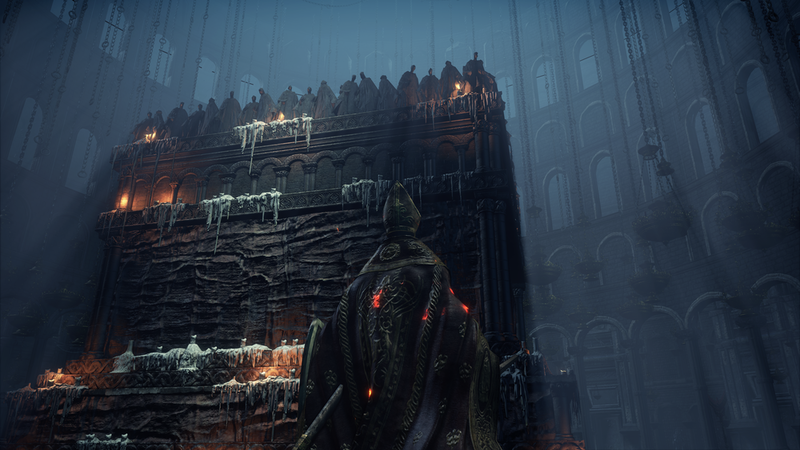 It reminds me a lot of BLOODBORNE way more than DARK SOULS II and IMHO, that's the biggest compliment I could ever pay this game and the developers behind it. The systems are much more polished the interface while still not perfect, has been much improved. 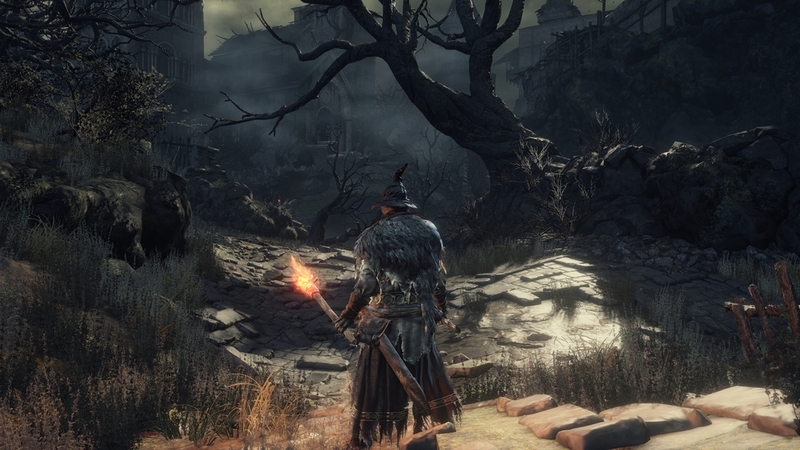 Loading times on the PC are cut down to a minimum and this is a huge leg up on BLOODBORNE on the PS4. Either way, this is the game you've been waiting for with jaw dropping level design, incredible enemies, and more secrets than ever to discover. I can fully recommend this game for anyone who's slightly interested in the series. In case you haven't noticed yet, this article has way more screenshots than we usually include for good reason. Why? Because look at this towering masterpiece. Once again, feel free to click on any image to increase to full 4K resolution. Also, check out the 4K gameplay video below to see the game in the action. Artistically, technically, this is a stunning achievement in every way. Crumbling ruins, dank sewers, candlelit caverns, and murky swamps are eerily alive.. yet seemingly dead and decayed at the same time. Some of the scenery is like a detailed fantasy painting and other times, like a high res horror motion picture. It truly is amazing how you start a level with some huge landmark in the distance, in full detail, and you end up standing atop said edifice to survey the land. It's truly breathtaking. Animations and effects as equally as good whether it be fire and spark dripping from a torch or an icy frost emanating from a sword that drops from a mini boss. It was truly a pleasure to take hundreds of screenshots throughout my playtime with DARK SOULS III and I spent way to much time gawking at the graphic goodies while getting slaughtered by ruthless enemies. Oh well, it was worth it.. I think we can finally put the 'Are games really art?' case to rest. Equally impressive to the visual portion is the audio. The music in this entry is much more pronounced with a perfect balance of epic throngs mixed with haunting melodies. No, there isn't much music in the game but as you play, it almost seems like there is something nipping at the back of your eardrums. Maybe it's just the thick atmosphere and feeling of dread that creates that illusion. Either way, what IS there are a huge array of incredible sound effects and surprisingly enough, incredibly solid voice acting. Whether it's your sword crashing through bone or dark wizards screaming curses, once again, this is the perfect mix of awe and dread. I'm in like Flynn with this hidden ring. That's right, there are goodies hidden everywhere throughout the game. In the end, the sheer amount of detail and scale in this engine is truly impressive. Not only is the world detailed but the items themselves all have backstories, small quips, but always something interesting to read and look at. Not to mention all the stats and goodies to sort through. The ring above was in a secret area that I almost completely miss but after stumbling upon said area, I found the ring, a whole armor set, and other goodies. Risk = reward. War is ugly. So are the women in this game. Enough gushing. As you can see, I absolutely adore this game. It's the pinnacle of modern gaming and a showcase of what technology and talent can produce when brought together. This is not an easy game. There is no difficulty setting. You will die. A ton. Throughout the series, at least four or five times, I've almost quit playing because of a seemingly impossible area or boss where I kept getting wasted. Don't give up. Gain more souls, level up, upgrade your weapons and come kick some trash! Once again, I can't count how times I wanted to throw the towel in, only to come out on top with a whole new area and goodies for me to partake in. Here comes the sun, doo doo doo doooo. As I asked in the very beginning, why do we even play video games? For me, there is no game that is perfect but when it comes to scoring a game as a reviewer, this game accomplished all the reasons I seek to play games at all. I was constantly challenged, followed up by rewards and secret items as I explored. I was dazzled and entertained, creeping through the lands and levels on display. I escaped the pressures of life and took on a whole new set of pressures to master areas and enemies that always ended up in satisfaction. This is truly a experience that all gamers should experience. Whether a huge fan or a completely newcomer, this is a game that simply belongs in everyone's gaming library. If you need any tips, tricks, or advice, drop us a note below. Praise the Sun!